As you may know, our summer interns are contributing to Daily Fuel’s editorial. 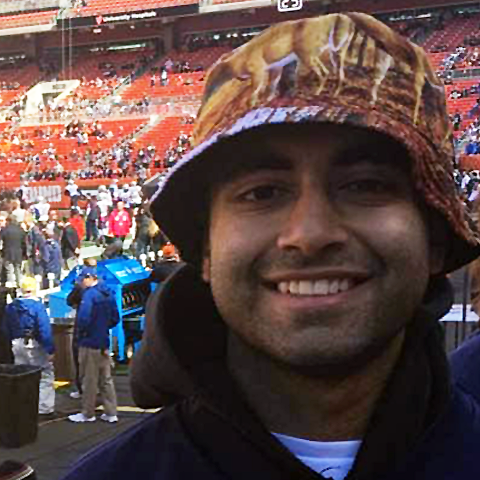 Today's guest blogger, Parth, a student at Michigan's Ross School of Business, tackles entrepreneurialism. As an entrepreneur in training, one thing I have learned is a lot of big named business people dislike the word entrepreneur. People often find the word wishy-washy, and it makes sense. When we think of an entrepreneur, we may think of Mark Zuckerberg or Elon Musk. Yet according to Uber, their tens of thousands of drivers share that same title. So what exactly is an entrepreneur? Is it a fancy word for not having a boss or is it rooted in something deeper? From my limited experience in the startup world, I’ve noticed a big difference between an entrepreneur and an “entrepreneur.” An entrepreneur’s dream is to create something they care about and watch it grow into a disruptive beauty. An "entrepreneur's" dream is to be an entrepreneur. Now there’s nothing wrong with being the latter. I’ve been that guy since sophomore year of high school. However, the problem with “entrepreneurs” is that they misunderstand the essence of entrepreneurship. It’s not about being Mr. Cool with stacks of cash and no boss, because you will be far from that (until you aren’t). It’s about taking a real-life problem you care deeply about and making something beautiful out of it. So can Uber drivers be entrepreneurs? On an average day, probably not. However, there are many situations where an Uber driver can become an entrepreneur. Once I met an Uber driver that would have discussions with passengers on how to build credit score and a kickass 401k. He used himself as an example of what not to do. Believe it or not, that man could have been considered an entrepreneur, simply because he used his passion for financial responsibility to help college students avoid the mistakes he made at their age. Little did he know, hundreds of startups around the country were trying to solve the same problem. Maybe he listened to Grace’s advice and realized he had what it took to make a difference as an entrepreneur.